Unlike scouts from 40K, the recon squad is a true full blown space marine reconnaissance unit in 30K. They can scout and outflank and with acute sense they are good at outflanking. 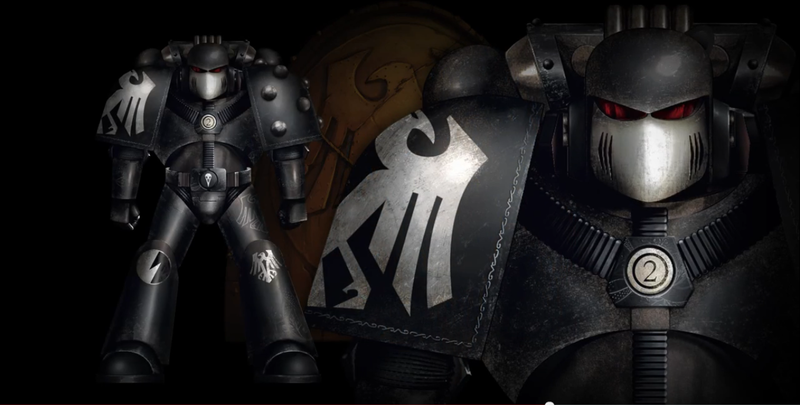 So what do recon squads have to offer for Raven Guard, the most recon orientated legion? Not a lot actually. For one, Mor Deythan do everything scouts do but better and for considerably cheaper. So looking through that lens, what do scouts offer above and beyond Mor Deythan. Melta bombs: A 5 man scout unit is the cheapest way to take 5 melta bombs. Nuncio Vox: Sure your tac squads can take it too, but for 10 points they can bring in a unit safely from deepstrike. Useful with decapitating strike. Support Troops: Recon squads don't take up elite slots. Unfortunately they are support squads... so don;t fill mandatory troop slots, which is a shame. IMO this restriction should have been lifted for Raven Guard. As it is, I don't even consider them until I've fill all my elites and mandatory troops. Transport: They can take a storm eagle transport. So if you are doing air cav and you need more birds, these guys are a way to crank up the number of flier transports available to the army. Sniper Rifles: Ok, these are cool as hell, and very Raven Guard, but pretty situational. you don;t really have a lot of monstrous creatures running around 30K, although they are good against units like castellax. On a roll to hit of a 6 it get precision hit, They always wound on a 4+ and the become AP2 on a wound roll of a 6". Plus the 36" range is nice. It's a shame they lost the pinning bit this edition, as that what really made them good. But 10 of them is 250 points, which isn't exactly cheap. Maun where most of the army comes on turn 2. The scouts often get over looked letting you get in you melta bomb charge. 10 Recon marines with shot guns and melta bombs, sgt with a hand flamer all in a rhino with a heavy flamer. These guys infiltrate in and then scout, so you will be 12" away from your target. Then you jump out your units and double tap you shot gun and fire the flamers. You will off that pesky 5 man dev team or be able to handle 10 man unit of just about anything after that. It's a pretty good generalist unit that can hunt infantry or tanks. 10 snipers. I don't really dress these guys up more than that. They sit on an objective an plink away. Any thoughts? You guys do anything interesting with Reconnaissance Squads? No problem Felix! Thanks for the support. Eventually, I'll have all the units covered and it will be a full tactica.